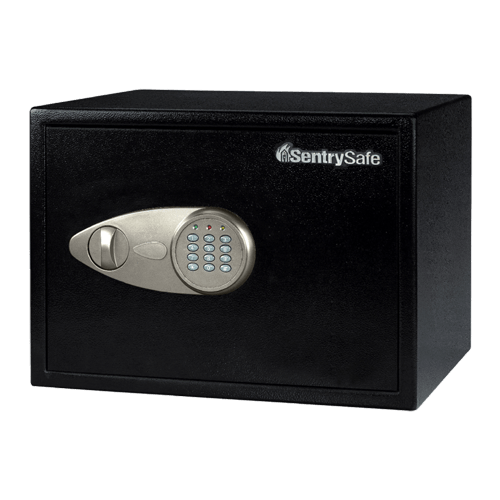 X125 Digital Security Safe is rated 4.0 out of 5 by 6. 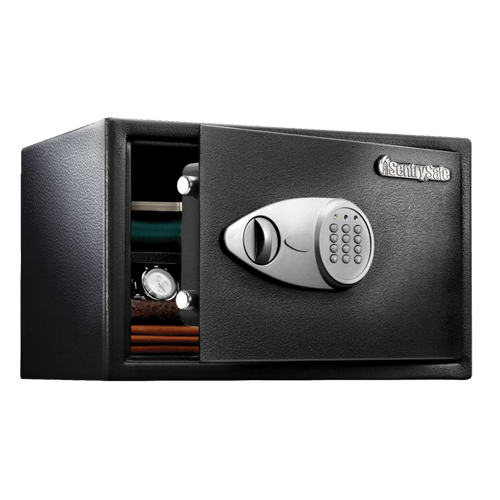 The SentrySafe Digital Security Safe X125 safeguards your precious valuables and electronics from theft. This safe includes power cord access to keep your laptop and other devices secure even while they are plugged in. 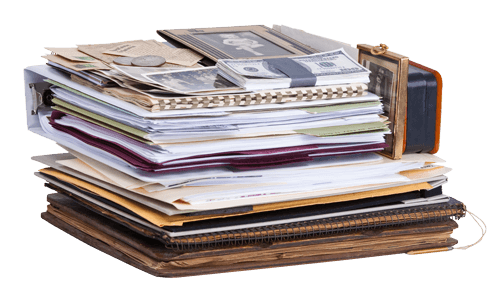 Complete with a removable shelf for organization, the X125 is ideal for safe storage of your irreplaceable items. Rated 2 out of 5 by Bryan623 from Faulty craftsmanship? Just opened the box and the door is messed up. When you open the safe the door “drops” and when I attempt to secure the door I have to lift it up to fully close it. Expected better quality from Sentry. I did submit an email reference the warranty. I hope the safe gets repaired or replaced. Rated 4 out of 5 by Nanny1 from Strong and secure safe I love this =lock is easy to open (with the correct code . Should I forget that code there is a backup key . Rated 5 out of 5 by Wilf from Strong and secure Home use. Suitable for keeping my important documents and valuables.